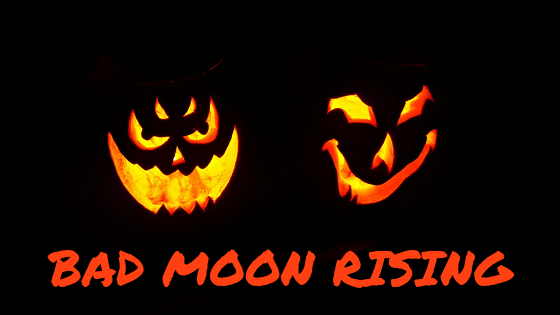 Welcome to the first day of Bad Moon Rising! I’m a big fan of ghosties, ghoulies, and things that go bump in the night, so this time of year, I’m in my happy place. 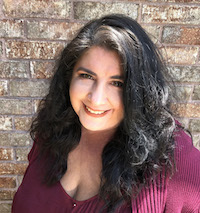 This is the fourth year I’ve hosted horror, thriller, and paranormal authors for Bad Moon, and it’s a wonderful way to discover new authors and learn more about them. Sharing is appreciated! 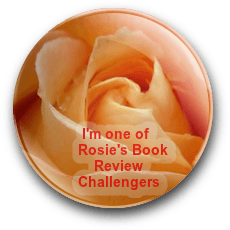 If you’re a regular visitor to this blog, our first author will be a familiar face. Staci is one of the busiest writers I know, and recently completed her paranormal romance Medici Protectorate series. Welcome, Staci Troilo! I’m probably a combination of the skeptic (because mass hysteria can make people believe all sorts of crazy things and I don’t go with the flow in those situations), the smart one (because I wouldn’t run UP the stairs, go off on my own, or open any doors that simply do not need opening), and the final person (because they usually get it at the end or the opening of the sequel, and I’m just not lucky enough to get through it all unscathed). I guess it depends on the amount of money. I don’t believe in ghosts (or at least, ghosts that harm people), but if the place is long-abandoned, it’s probably infested with all kinds of insects and rodents, and that would be more disturbing to me than any spirit that may or may not be there. A car. I can get away faster than they could chase me, and if I’m confronted with a group of them, I can just mow them all down with a push of the pedal. Making time to do everything I want to, particularly when I have tight deadlines and a high workload. I don’t get writers block, and any snags I hit I can usually fix quickly with some research or outline revision. For me, time is definitely the biggest factor. I hate to say something is a must-have for all writers because everyone has a different process. But must-haves (or really-nice-to-haves) for me are a notebook to brainstorm and outline, Scrivener or StoryShop to actually write, and Word to edit. I can muddle through with less, but those three are my standards, and I’m most productive when I use all three. I’ve got a few projects going right now. I’m in the middle of book 4 (Stalked) of the Nightforce Security series. It’s a spinoff of the Medici Protectorate series (without the paranormal element) and follows a bunch of former Navy SEALS who now work for a security firm. The books are in the romance/thriller genre and are written under the pen name Keira Beck. I’m also writing a psychological suspense series and a dark paranormal suspense under the pen name Delilah Cross. And I’m still outlining my next project written as “me” (so suffice it to say I’m pretty busy). Damien was a loyal warrior, killed in battle in 1203. Because of his true heart, he was given the option to pass on to his eternal reward or exist in another state of being as a protector… until he could resume living the life he’d been cheated of. A soldier by nature, he chose the latter. And he waited centuries—as a gargoyle—growing increasingly bitter about his choice. Rina is a hard worker and loyal friend. But she has the worst luck. One night, after saving her best friend from a violent assault, she finds herself at the attacker’s mercy. Then, out of nowhere, a savior comes and rescues her. 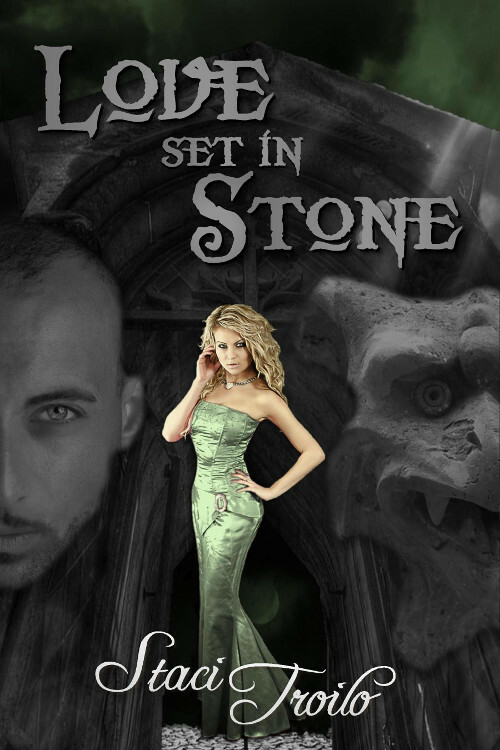 With only an angel to guide him, Damien must make the right choices to win Rina’s heart… or be forever damned as a grotesque mockery of the guardian he once was. Thanks, Sue – have a great week! Off to a great start, Teri. Loved seeing Staci’s work showcased here. I think I’ll just pull over to the side if I see her on the freeway. Might not be a bad idea, Craig. Just look for the crazy lady singing at the top of her lungs, playing drums on the steering wheel, and “dancing”. That’ll be me. Cool answers, Staci, especially about the car being your weapon of choice in a zombie apocalypse. Plus, they can’t run fast, can they? Good point, Hugh. Just make sure to bring extra gas. No, they can’t. But neither can I, so I definitely need the wheels! Honored and super excited to be the first post of the promo, Teri. Thanks so much! Thrilled to have you kick off the month, Staci! Thanks, John. Unfortunately, my mind always goes to those things because they give me the creeps! I can understand that for sure. Insects and rodents – no problem. Snakes – I’m out of there. Thanks for stopping by, John! Nope. Can’t do snakes, either. 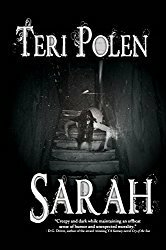 Read Staci Troilo’s answer to that scary question and more on Bad Moon Rising with Teri Polen. Super excited for the share. Thanks! Great interview! Staci, I haven’t heard of StoryShop, could you explain what that is? StoryShop is similar to Scrivener. I’ve always (well, since switching from Word) used Scrivener because of the functionality with scenes, chapters, story bible integration, etc. When I started working for Sterling and Stone, I learned they have their own version of a novel-writing app called StoryShop. That’s where all of their authors compose. It’s online, so you don’t have to worry about saving to the cloud to work elsewhere. They’re about to roll out a brand new version with a bunch more bells and whistles. I’m looking forward to that. But even the base version is awesome. BTW, it’s not just an in-house app. Anyone can buy it. I was a Word power user for years (and years and years and years). After getting used to Scrivener (and make no mistake, there is a learning curve), I never want to compose in Word again. I love having my outline, characters, settings, and individual scenes inside their respective chapters all on one screen. I used to have to jump screen to screen and document to document to write (you know… confirming an eye color or a street name, checking which POV the scene should be in, figuring out what came right before and will come right after something so my transitions make sense, etc. ), but now it’s all right there. Super convenient. But everyone needs to work how they’re comfortable. I wasn’t familiar with Story Shop either. I’m still using Word, but all that jumping around you’re referring to – that’s totally me. *Sigh* I’m probably going to need to jump on a learning curve soon. Scrivener is very affordable (I think it’s still $40 for PC and $45 for Mac, but don’t quote me) and there’s no yearly fee. The latest version of Word is subscription-based. I’ll NEVER do that. I count on OneNote (a lot!) for my book bibles. I can see how Scrivener would be great for someone who doesn’t write linear, tough. That’s the most important thing… whatever works for a writer. You are one seriously busy writer, Staci! I’m looking forward to the new releases. And great to see Love Set in Stone showcased on Bad Moon Rising. It’s a great read! This is one of Staci’s I haven’t gotten to yet, Mae. Thanks for dropping by, and have a great week! Thank you, Mae. I appreciate that. Woot! Bad Moon has risen! Congrats on the kickoff of another year, Teri. Always nice to know more about Staci (and all her selves). Ha! I had not thought of a car as a zombie weapon — but that’s a great idea. I never “got” the zombie monster craze, but lately I’ve been watching iZombie on Netflix and it’s a total hoot. Zombies aren’t really my thing, either, Teagan. Maybe that’s why my answer was unconventional. Guess I’m in the minority here – I love me some zombies, whether in books, movie, or TV. Hugs, Teagan! I don’t know. Mindless seems to equate to boring in my opinion. I like a villain with a dastardly plan. But I’m probably in the minority. Everyone I talk to loves The Walking Dead. With The Walking Dead, the worst villains aren’t the zombies – it’s usually the humans turning on each other. Great interview! I have to agree to having a car in a zombie apocalypse:) Had to add to my reading list. Thanks, Denise – have a great week! Thank goodness! Finally someone who understands zombies are slow and clumsy, and easily outrun–or out driven! Yes! A fast car, and so long to moaning dead people with bits and pieces falling off of them! You GO, Staci! Thanks, Marcia! I love this time of year and featuring some of my favorite genres and authors that go along with the Halloween season. Great answers from Staci, Teri. I share her view on the haunted house sleep over. I think a rat running over me in the night would be much worse than a confrontation with a zombie. Unless it was the haunted house in Stephen King’s Salem’s Lot. I couldn’t do that one. Good point about the house in Salem’s Lot. I couldn’t do that, either. Salem’s Lot is one of my favorite King novels – I’d love to find time to do a re-read this month, but don’t think it’s in the cards. Time? What is this elusive concept of which you speak? With all you have going on, there’s no way you’d remember what that is, Staci, lol! She has several to choose from, Colleen – Happy Reading! I know what you mean about finding time to do everything. Sometimes I really wish there were more hours in a day. More hours sound like a godsend, Victoria. But knowing me, I’d just take on more work, so I’d still be behind! I wouldn’t argue with that, Tori. I could use several more hours.